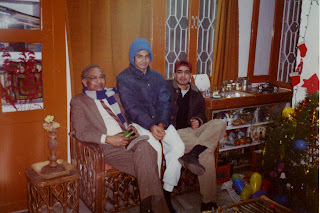 Anuj along with Dad and Kapil during one of his trips back to India which happened to be around Christmas time. Christmas 1995. 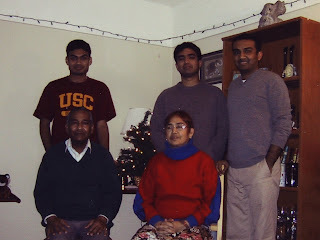 Anuj along with the family on a more recent Christmas Eve. Christmas 2003. 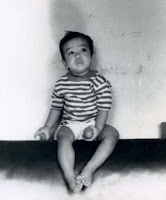 Anuj as a cute little baby on his first trip to India. Spring 1977. Anuj before one of his performances on the Annual School Sports Day. Fall 1987. Anuj looking sharp in his suit jacket. Fall 1991. Anuj posing in his MIT Baseball Team Jacket. Winter 1995. Anuj with his signature smile. Winter 2005. In front of the ADP seal at a fraternity house while on a roadtrip to Montreal. Seals like these adorn the walls of the MIT house as well. Anuj's picture with his class is also permanently displayed there. Hanging out with friends in the main basement lounge (with the big TV) of the ADP house. This is where Anuj would often watch the Patriots or the Red Sox with fellow sports fans, help freshman finish problem sets or simply regale his fraternity brothers with his great stories. Anuj with friends at a fraternity semi-formal. This party was on a boat in Boston. We have mentioned Alpha Delta Phi (ADP) in several previous posts. ADP is the fraternity Anuj was a part of during his years at MIT. 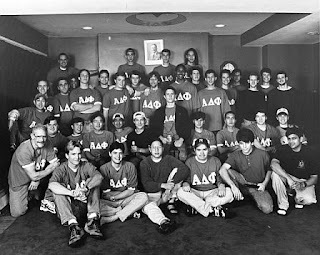 He joined the organization a week after coming to campus in 1994 (fraternity rush occurred right after the first few days of orientation there). Some of his best lifelong friends were fellow members of his pledge class or other brothers in the fraternity. Anuj lived in the ADP house with these friends and many of his extra-curricular activities in college centered around the fraternity: community service, intramural sports, road trips, parties and generally hanging out. As we have in the past, we will share as many stories about these times as we can. In this post however, we wanted to relate some information about the ADP fraternity and the MIT (Lambda Phi) chapter. Anuj with his ADP fraternity brothers. Fall 1994. He is in the second row, smiling with a backwards baseball cap on. Alpha Delta Phi was founded in 1832 at Hamilton College in Clinton, New York by Samuel Eells. Founded as a literary society, it evolved into one of the more distinguished of the original American college fraternities. ADP has retained its focus on its literary roots in its chapters at colleges and universities in Canada and the United States. According to its founder, the fraternity was established with the intent that "this new association, with a true philosophical spirit, looking to the entire man, develop his whole being—moral, social and intellectual." There are about 50 chapters and its alumni include presidents, chief justices, senators, business and academic leaders, and artists. Some of the most prominent members of the ADP brotherhood are Franklin D. Roosevelt, Theodore Roosevelt and Salmon P. Chase. The MIT chapter was founded on April 3, 1976 and over the years became a major influence on campus. The ADP house is located on Massachusetts Avenue near Central Square in Cambridge. It is a 10-15 minute walk to the main campus. 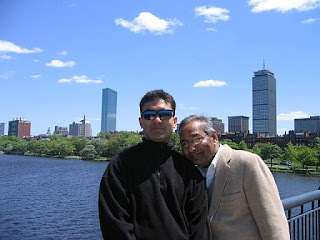 This is where Anuj lived during his five years at MIT. And it is here that he built countless shared memories with his fraternity brothers and classmates. To learn more about Alpha Delta Phi, click here. To learn more about ADP at MIT, click here. 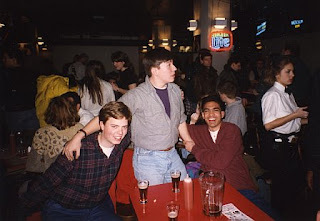 Those who knew Anuj well often saw his playful, whimsical side. He was wise enough to never take himself too seriously. 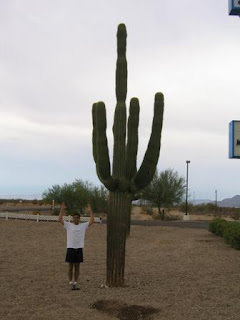 Anuj impersonating a cactus on a road trip to Texas. 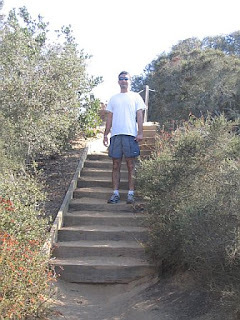 Summer 2004. 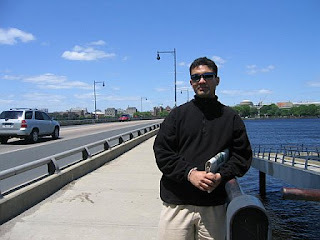 Anuj in front of the Charles River in Boston. Spring 2004. About two months ago, we posted about Anuj's numerous contributions to entrepreneurship at Wharton. According to his classmates, and as we recount in that post, he displayed remarkable leadership across many initiatives during his year on campus. Anuj had even more grand plans for his second year, which he hoped to fulfill as Co-President of the Entrepreneurship Club. While, devastatingly, he will not be able to follow through on those ideas himself, we know he inspired so many of his classmates with his dedication and creativity, that they carry on his work at Wharton. In that spirit, and in recognition of Anuj's unique and inspiring leadership, the Wharton Entrepreneurship Club has dedicated the 2006-2007 year in his honor. The flame will burn bright, and guide us on our way. "...I have been teaching at The Wharton School since 1984. I am writing to convey a few brief thoughts to you about Anuj on this tragic occasion. He was a student in my class on leadership and teamwork, yet I was privileged to have gotten to know Anuj outside of class as well. He served on a small committee of students who worked with me this year to recruit guest speakers to visit our class. Anuj and I shared a few lunches during which we did our planning, and it was during these delightful times that I had the pleasure of experiencing Anuj’s remarkable personality, beyond the consistently excellent contributions he made in our class sessions. He was extremely bright, intellectually engaging, humorous yet humble, warm yet clear-headed. I thoroughly enjoyed being with him, and he made the work we had to do very easy with his flexible, creative, can-do approach. I have gotten to know thousands of Wharton MBA students over the years, and I can honestly say that Anuj stands out in my memory as one of the very best Wharton has ever seen. I was so deeply saddened by the news of his passing for not only will I personally miss him; more importantly, he was truly an ideal citizen of our community. You have my most sincere condolences at this very painful time." 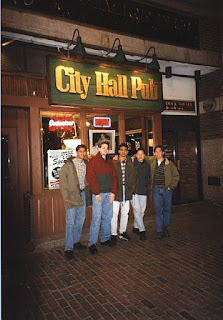 Anuj hanging out with college buddies while at MIT. Many of them would count among his lifelong friends.